Serving produce, meats and cheeses that are locally grown is important. How they are raised is also paramount in the selection. Carlyle Grill sources it’s NY Strip, Sirloin, Ribeye, and Burger from Thunder Ridge Beef Company. Although not a Michigan based ranch, TRNatural provides meat from the agriculturally rich area of Southeast Iowa. 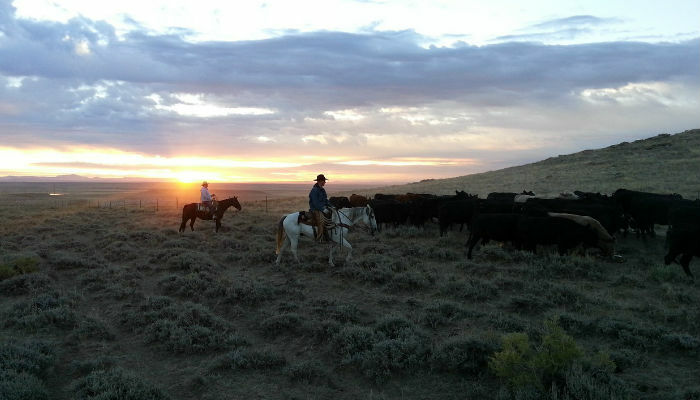 In this region, the local and independent farmers and ranchers have been raising livestock in a sustainable and responsible manner for generations. TRNatural doesn’t use antibiotics or add artificial growth hormones, instead allows the Angus cattle to grow as nature intended. The Angus beef is finished for up to 200 days on a corn based feeding program. This natural programs eliminates the need for additional animal proteins. Once the beef arrives at Carlyle Grill our dedicated Scratch Kitchen team of chefs and cooks works to prepare your meal. Whether you order Steak Frites, Pacific Ribeye, Classic Burger, Old Fashioned Burger, or our special London Burger (a blend of brisket, chuck, prime rib) you can be assured you’re being served a high quality, freshly prepared entreé.